I’ve been trying to get this post up for days now but I keep leaving my camera at work. 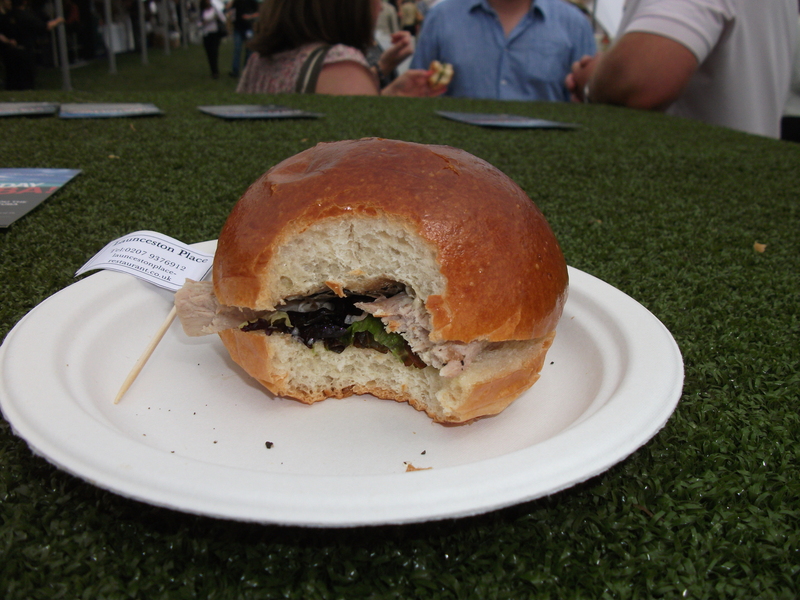 So finally, I’m writing up my lovely day at Taste of London courtesy of the yummy Glorious Foods. I went to the Clothes Show in Birmingham once, for a textiles GCSE project. This was in the early noughties so not a clue what it is like now, but the Clothes Show was a bit rubbish. It really put me off those big events – one colossal room full of people that love the same thing, all competing to love it a bit more than the next person. My point is, I don’t/didn’t think I liked big things like that, the ones that happen at the N.E.C., Earl’s Court etc. As a result I had never been to Taste of London or any of the other foodie fests which happen here in London every year. Unfortunately I couldn’t get away from it – mouth-watering posts from food bloggers such as eat like a girl and James Ramsden left me wanting more, I’m a sucker for a good photo but I wanted this stuff in my mouth! Glorious Foods came to my rescue and supplied me with a ticket at the very last minute. So, just before lunchtime on the Friday off I trotted to Taste at Regent’s Park. Now, for me, a big A* goes to whoever came up with the idea of holding this event outdoors. Despite the sun playing hide and seek it was a temperate day to enjoy an array of lovely food and, I’m glad to add, booze. 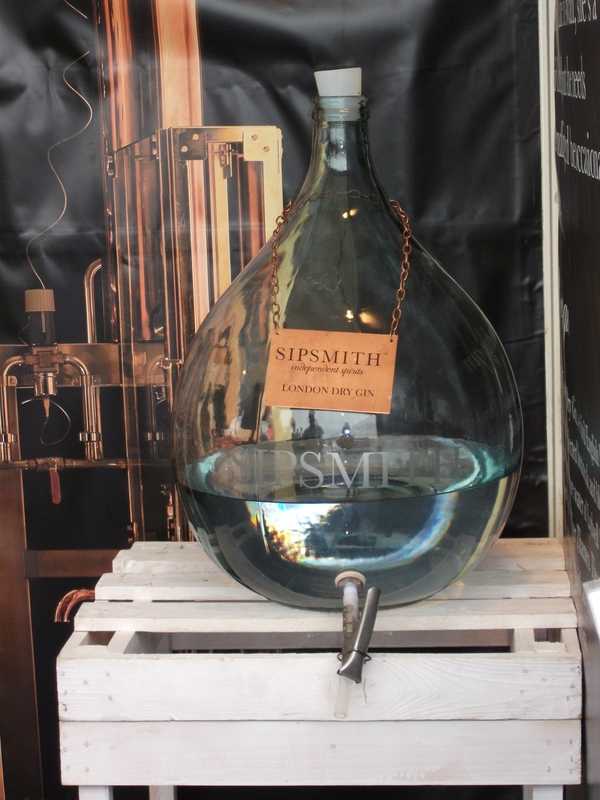 Having entered the park, my first stop was probably not my brightest ever move, Sipsmith Vodka and Gin are made in London in their very own Copper microdistillery. This is the first copper still to be used here for nearly 200 years. 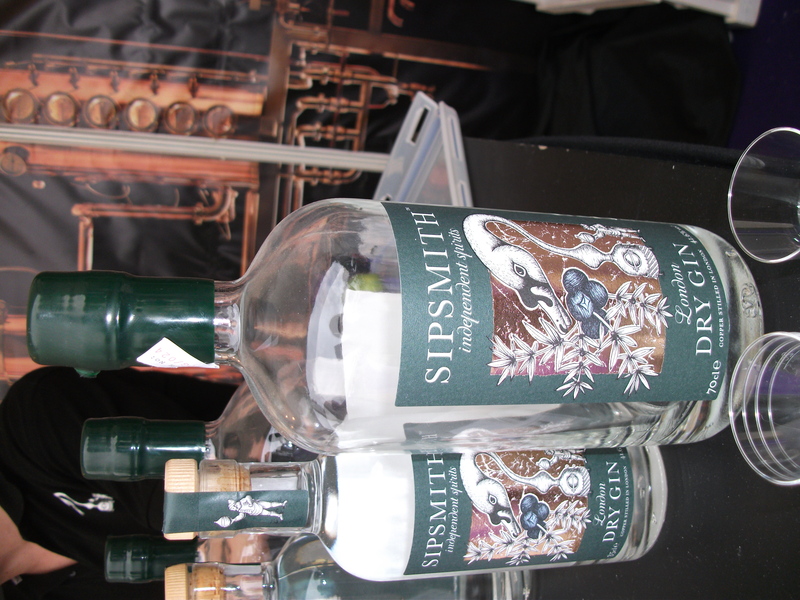 God knows why there aren’t more, because this was bloody good Gin. I can’t comment on the vodka as I’m not a mega fan generally and have little to compare it to, but the Gin – perfect. I wandered around a little, took myself to try a variety of bits a pieces from some smaller stands, including a curd competitor which from an entirely impartial point of view I didn’t rate but her jams were yummy and I’m pretty sure that was her main area of concentration. 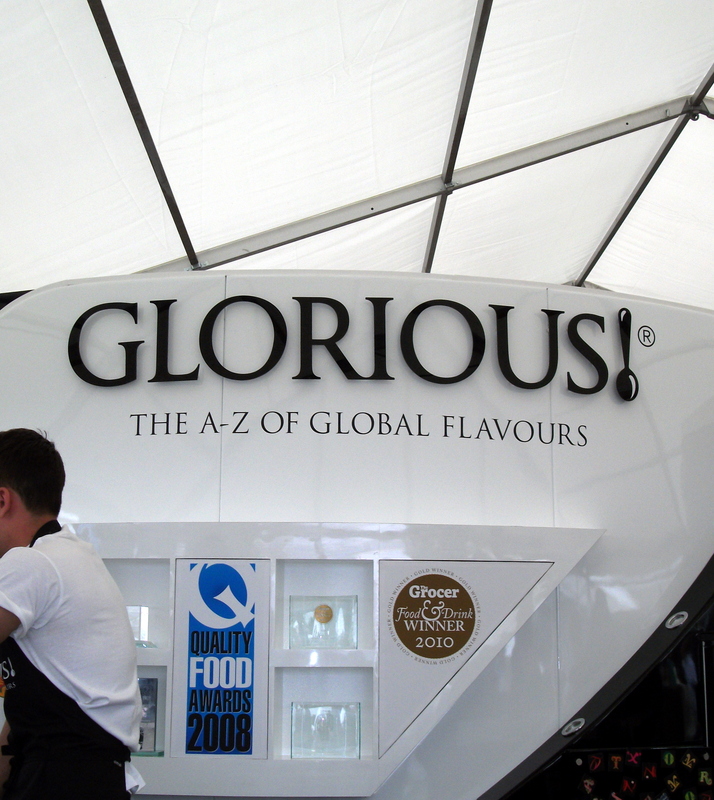 Next up were Glorious Foods’ soups, I tried 4 out of the 6(ish) they had on offer and all of them were really, very good. They have an A-Z of flavours with a few spots left open on the board, which they happily invite you to contribute to online. I had a go at tasting Toulouse Sausage, Spanish Chorizo, Asian Tomato and Butternut Squash. 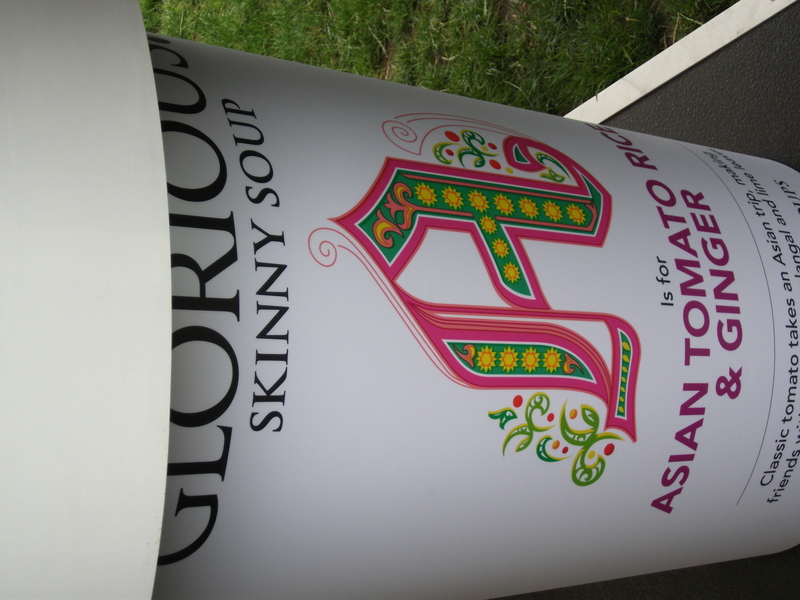 The second two are their ‘Skinny’ range and the Asian Tomato was my fave out of all four. Definitely an in for the diet list! A lady with a large handbag kept getting in the way of my photo taking but see below, then you’ll have more chance of spotting them on a shelf near you! Next up is the porcine creature everyone’s been talking about…Roll up Roll up for Launceston Place and their Suckling Pig Roll! So I’m without doubt, too greedy to be a food blogger, couldn’t keep my mouth off this in time to take a photo. I can’t say much about this..I’m salivating at the thought. It was as divine as they say, laced with truffle shavings, it was just proper good food. 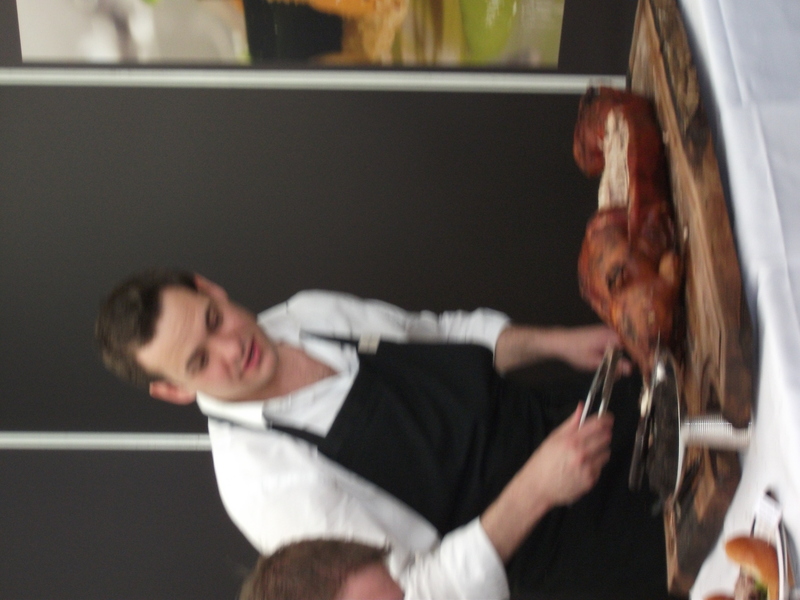 I have one more fuzzy picture of the rather dishing bloke carving the crispy crispy delight.